As temperatures dropped dangerously low last Wednesday, Northwestern students joined pretty much the entire Midwest in staying indoors to brace for the bitter cold. Northwestern food service workers, on the other hand, prepared to go to work. In response, Students Organizing for Labor Rights, or SOLR, a student group at Northwestern aiming to establish student-labor solidarity, started a fundraiser to support travel to work for these service workers on Wednesday. In the span of one night, SOLR raised over $2,500, which was so much more than they needed that they had to put a cap on the donations. But SOLR’s work doesn’t stop there. In addition to this, SOLR created a petition against the unfair treatment of service workers by Compass Group, Northwestern’s food service provider whose contract began in summer 2018. According to Weinberg junior Seri Lee, a member of SOLR, the petition has received almost 650 signatures. She said they hope that number will soon rise to 1,000. While many students have only just now been exposed to the issue of labor injustice on campus, the petition is part of a much larger problem that SOLR has been concerned about before Compass Group joined Northwestern. Through this movement, SOLR hopes to help students understand that Compass Group’s unfair treatment of service workers on campus is a real problem. Lee said they want students to know that it is up to them to help improve the treatment of service workers. “We can use our power as tuition-paying students to leverage the university and hold them accountable,” Lee said. Tamara Kissoon, a Weinberg freshman and SOLR member, shares Lee’s belief that informing students about the injustice surrounding Northwestern’s food service industry is essential to creating change. “Students hold a lot more power than they realize when it come to these issues,” Kissoon said. 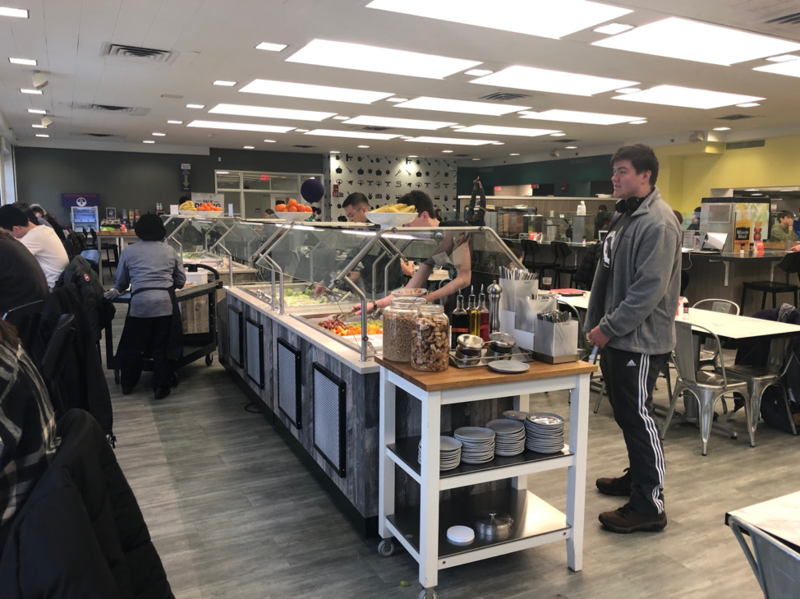 In addition to demanding fair treatment for service workers from Compass Group, SOLR believes that many students need to shift their mindsets regarding campus service workers. Lee says they believe that SOLR’s overall message may have more of an impact if students are not only seeing it in a passive manner through social media, but rather, actually discussing it with others around them. “For me, organizing works best when it’s interpersonal, when it’s face-to-face and not so much when you read something on your screen,” Lee said. SOLR has much more work to do in terms of expressing its message to students and will continue to advocate for labor justice through many different means. Lee hopes the group will soon be able to facilitate a community conversation around the personal stories of these food service workers, which she describes as an essential part of understanding the issue. Likewise, Kissoon says the group's most recent action is just the beginning. In addition, Lee says movement toward labor justice for service workers is something that has implications beyond Northwestern’s campus. Change, Lee says, is something that can start here on campus, but that needs to spread everywhere.